#6 Story Book on Scribl! 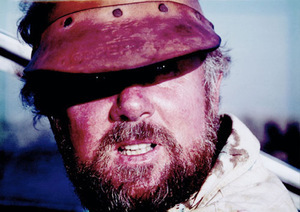 Tired of California's glitzy lifestyle, greed and urban sprawl, Captain Skip Rowland sells everything to drift and blend in the drop dead beauty of the South Pacific. 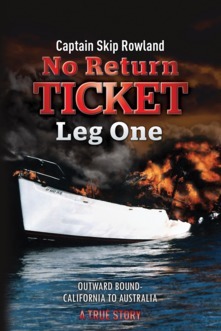 But before casting-off his yacht is stolen and set ablaze on a desolate Mexican shore. (A story bin itself) Skip, recently in the USMC captures the thieves, sailing later in a new yacht with his son and nurse girlfriend. 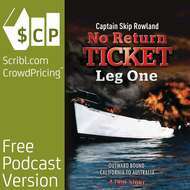 They accidentally sail unto an active military coup de tat, are chased by a vagabond freighter, make love on picture perfect uninhabited islands and cross the Tasman Sea to Australia in the worst weather in 100 years.Told in an authentic sea captains voice you will believe you are on deck experiencing every moment of this true adventure.